Thanks @JKP, that was fast. The leaf shape is similar to You are not allowed to view links. Register or Login to view. in the VMS (although the leaf is shown the other way round). Another name for Newfare is nenufar (Seeblomen). But they are presented differently in other manuscripts. You are not allowed to view links. Register or Login to view. - GW 12270, Latin herbal with German synonyms, Passau, Anonym, Herbarius, Patavie, 1485, You are not allowed to view links. Register or Login to view. Edit: Another spelling for Nenufar is Nenuphar. An older spelling for Seeblome is sêbluome (Mhd). Is the assumption that You are not allowed to view links. Register or Login to view. is Newfare / Nenufar too farfetched ? After all, the leaf shape is characteristic and the central feature. The leaf shape is similar to the VMS, yes, but the flower is wrong. The VMS flower (and leaf) matches the Menyanthes/Villarsia species. They have one ring of five petals rather than several rows of petals. 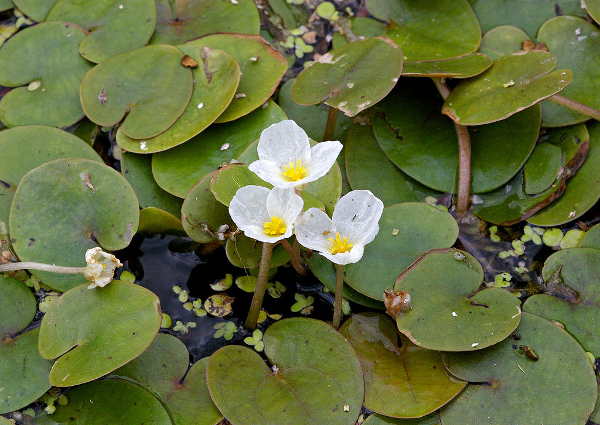 Menyanthes/Villarsia are small water lilies, also known as frogbit. 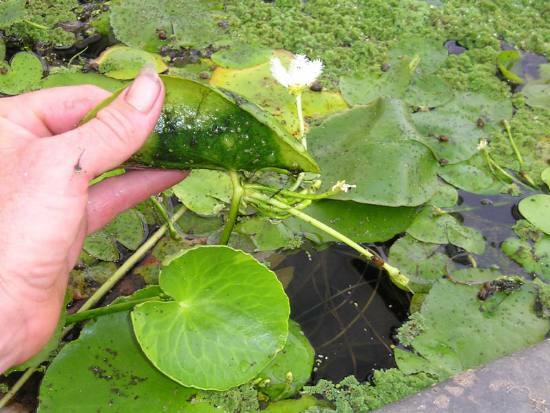 Villarsia is also found in a few herbal manuscripts, but usually one sees the larger ones (Nenufar and Nuphar). Some of them are fringed, some are not. Some have prominent pistils, some don't, but Villarsia/Nymphoides matches the VMS drawing very well, especially when the flowers are not fully open. It even has a ridge on the base of the calyx as on the VMS flower. They grow all over the world. I split this into a dedicated thread about You are not allowed to view links. Register or Login to view. . There was one before, but it is extremely messy so it's better to have a fresh one. The Villarsia I found grows in Australia, Southeast Asia and South Africa. That's probably the wrong Villarsia. Do you have a link to the right type ? Nymphoides peltata/Villarsia peltata is indigenous to the Mediterranean. For a similar European variety (they have fewer petals, but are very much the same otherwise), see Hydrocharis morsus-ranae. The American version is Limnobium. Here's a pic of N. peltata that shows the variety with only a slight fringe: You are not allowed to view links. Register or Login to view. I've researched it for quite some time, but haven't been able to find info on whether N. indica had reached Europe by the Middle Ages. It's an easy plant to transplant, so it's possible it was in the Middle East by then, but maybe not Europe. 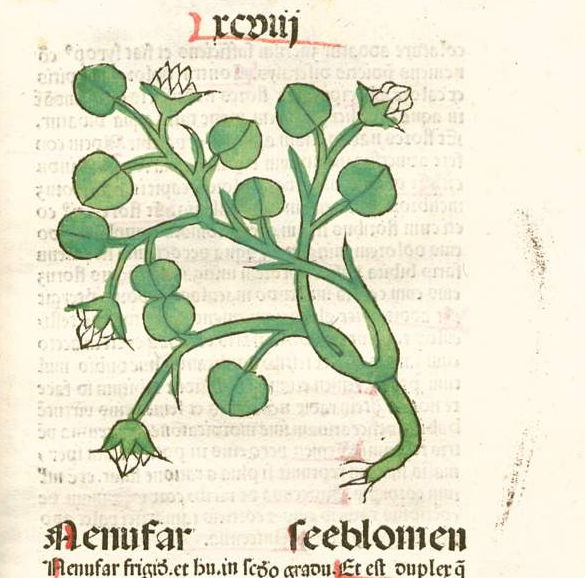 The plant drawing that triggered this discussion, in the Auslasser herbal, is definitely the plant known as Nymphaea (Greek) or Nenuphar (Arabic), i.e. a waterlily. However, it seems that the drawing looks more like a different plant, as described by JKP in the original thread. 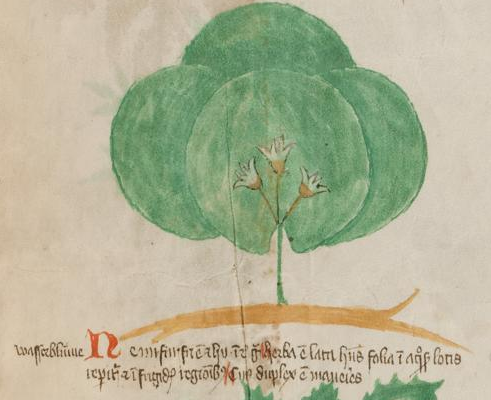 Quote: It is tremendously difficult to learn anything from the pictures in medieval herbals. There is debateamong the herbalologists about the actual utility of the pictures. John Riddle, Sergio Toresella, and my wife (whom I take to be the heavy hitters in the field) all have somewhat different takes. My impression is that you sometimes have to regard the whole thing as a specialized kind of iconography: just as we can study the relationship between different pictures of St Jerome (say) in medieval painting, and can form an impression of what he looks like (large square forehead, balding, red hat, accompanied by a pet lion) while knowing that the actual person might have looked completely different, so we study the plant pictures in herbals, noting similarities between the pictures (which sometimes agree with the written text, and sometimes not) even though the actual plant might look quite different. With that, even if the plant on You are not allowed to view links. Register or Login to view. doesn't look like a waterlily in all respects, it could still be one. This is probably a representation in the Circa Instans. The leaf shape and size is clearly in the foreground here. Universitätsbibliothek Basel, K II 11, Kräuterbuch " You are not allowed to view links. Register or Login to view. ", East Central Germany, around 1450, You are not allowed to view links. Register or Login to view.